The new MacBook Pro boasts a bigger trackpad, thinner profile, and a fancy OLED touchpad thingy that replaced the function keys above the keyboard. That's cool and all, but it's also the most expensive MacBook out there, and in a move that feels more inconvenient than innovative, it comes without standard USB ports. So if you have an older MacBook and don't want to pony up for the new one, the happy news is there are easy ways to update your MacBook and prolong its lifespan. With some hardware add-ons and special tricks, you'll have it running like it just came fresh out of the box. The single best thing you can do to upgrade your MacBook is to install one of these bad boys. Solid State Drives run much faster and are more energy efficient than hard drives, and depending on how sluggish your MacBook performs, getting a high capacity SSD will ensure super-fast speeds. The Crucial MX300 series is one of the best rated on the market and delivers the same, if not better quality than Samsung’s offerings, at a cheaper price too. I won’t bore you with the technicals on how to install these suckers. Just know you’ll need an SSD, versatile toolkit set, and about 20 minutes of patience. Anyone ready to scratch beneath the Macbook’s aluminum surface can check out this video tutorial which breaks the process down to a T.
Your iTunes library and the thousands of photos from your semester abroad five years ago have probably pushed your MacBook to the brink of destruction. Free up space by transferring all your files to the cloud. Google Drive is a steal at the asking price of gratis with 15GB of available storage, multi-platform support, shareable folders, and Gmail integration. Microsoft OneDrive offers similar features, only with more app support and 5GB to start. Then again, i-fiends unwilling to switch from Apple’s ecosystem have iCloud at their disposal with the first 5GB free and higher (also overpriced) storage packages. 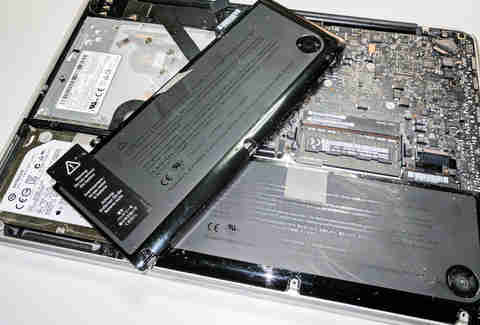 Overheating is a common problem with aging laptops. If the physical temperature of your MacBook is uncomfortably hot, or it shuts down unexpectedly, or the fan spins faster and louder than usual, using a cooling pad will help diffuse the situation. It redisperses all hot air from the machine via fan or using special materials to absorb the heat. 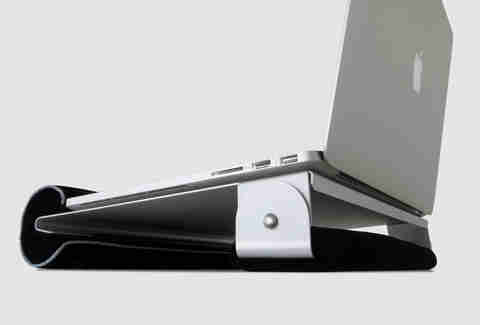 I'd recommend Rain Design’s iLap Stand -- it has a lightweight aluminum design that acts as a heat sink to cool the machine down. Your sperm count will thank you. No one remembers what the hell they download over time, and Mac OS X doesn’t come with a built-in uninstaller. On top of that, most apps install support files by default onto your MacBook, generating more memory clutter. But investing in third-party software like AppZapper will do the dirty work of uninstalling apps and related files. Another alternative is looking into the Applications and Downloads folder and moving unwanted programs to the Trash to free up space. Just remember to empty it out. Shut down the machine and boot it back up with an AC adapter plugged in. Hold the Command and R keys simultaneously until the Apple logo appears. Release them, and an alternative boot screen with a Mac OS X Utilities menu will appear to complete the system restore. Choose Wi-Fi from the Utilities menu and connect to your router. Look for Internet Recovery/OS X Recovery and select Reinstall OS X. Punch in your Apple account info (if necessary) and the computer will be automatically formatted to factory settings. That’s your green light to copy over everything from the external drive. More memory = faster performance. It’s not rocket science. Click on the Apple icon, Select -> About This Mac, and view the system information to determine your computer's model. Then look for the correct type of memory your machine needs on the MacBook Pro support page, which also provides an illustrated guide. It's important that you choose the right amount, speed, and type of memory; MacSales.com also has an awesome breakdown for every MacBook model that kills research time. Next comes installation. Reference this how-to video if you're up to the task yourself. All the latest tech is moving towards USB 3.0, making USB 2.0 pretty much obsolete at this point. 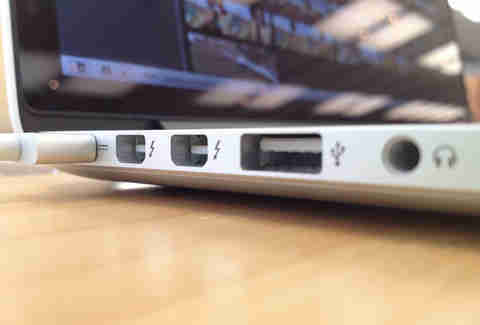 While some older MacBooks don’t support the latest USB protocol, they do host a Thunderbolt port. If you're big on file sharing, you should get a Thunderbolt adapter since it provides a significant boost in transfer speeds. StarTech has a great one that leverages the 10Gbps bandwidth of your Thunderbolt port to move huge media files onto other devices. Want to know why your MacBook can’t hold a charge the way it used to? Most modern models have a limited charge cycle of 1,000. Each cycle is measured when the machine uses all the battery’s power and then fully recharges it. Apple also claims "your battery is designed to retain up to 80 percent of its original capacity at 1,000 complete charge cycles." That’s not 100 percent. You can check the condition of your battery by clicking the battery icon on the top right, where you’ll see one of four conditions: Normal, Replace, Replace Now, or Service Battery. Common sense suggests replacing the cell if prompted, but you can dig deeper into the issue by checking the cycle count on the back end. Hold down the Alt key and click the Apple icon at the top left, and choose System Report/Profiler. From there, select Power and check the battery’s current cycle run. If it's indeed time for a replacement, you’re afforded three options. 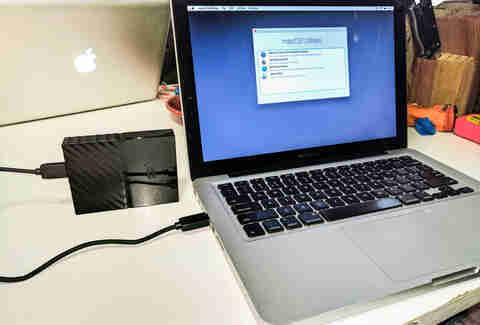 One is having Apple take care of it with service ranging from $130 to $200. 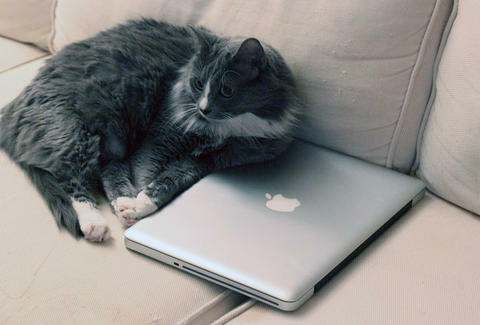 You can see if the MacBook is still under warranty or protected under AppleCare. Or, take the gamble on a third-party battery and install it yourself. Doing so won’t void your warranty -- but any damage caused during replacement will. If you're feeling risky, Next Level Tech provides a simple video tutorial on how to do it yourself.